The Five College Women’s Studies Research Center is holding the “Mediating Public Spheres: Genealogies of Feminist Knowledge in the Digital Age” symposium from April 4th-6th, 2013, & as part of that, the Hampshire College Library will be hosting a zine workshop on Saturday April 6th! The workshop will be held at the Harold F. Johnson Library @ Hampshire College Saturday, April 6th from 12:30-2:00pm. Space is limited to 30, so all you interested zinesters should register to fcwsrc@fivecolleges.edu by March 30th. 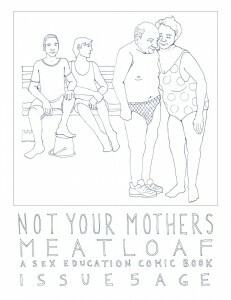 For more information, visit sexedcomicproject.blogspot.com.